In this course students will explore the fundamentals of Swift, the programming language used to create apps for Apple products. By solving puzzles in a dynamic 3D puzzle world, students will develop a set of coding skills to build up their basic programming vocabulary. Their coding journey begins with simple commands, functions, and loops. From the start, they’ll write real code, the same code used by real programmers. - This workshop will proceed with a minimum of 6 tickets sold. 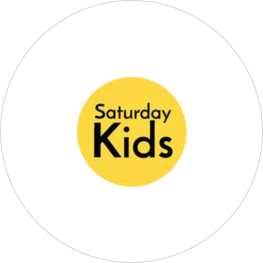 - Saturday Kids will be filming and taking photographs of the children in their workshop. By registering a child's attendance at this workshop, parents/guardians grant Saturday Kids a perpetual licence to use the student's work, photographs or videos of the student, and other materials for purposes such as publicising or promoting their workshops/events and the students’ accomplishments on Saturday Kids' website or on their partners' websites.